This book was terrifying. Delightfully so. I rarely get so wholly absorbed. I read all the time, but it is as time allows – a quiet hour on the weekend or a few minutes before bed. With this book, I was making time to read so I could keep up with its breathless pace. I even made something easy for dinner so I could read more and cook less. McMahon tells a tale via two main points in time (with a couple more moments for context) — present day and 1908. It is set on the same plot of land, a farm in West Hall, Vermont. The world we find is cold, hard, barren and bleak. Nothing can be farmed. everyone is just in survival mode — stay warm until spring. The story is couched in the framework of a diary from 1908 of Sara Harrison Shea, a decidedly unreliable narrator who admits at the outset that those around her think she has gone mad. She has created a “sleeper” — brought the dead back to life, for just seven days. There is some sort of ancient evil that lives in the woods, up at a rock formation called the Devil’s Hand. Everyone in town acknowledges it but never tries to define it. In present day, two daughters and their single mother eke out a all-natural, herbal existence. Off-the-grid and quiet around the town, the mother’s disappearance is little noted by anyone except her daughters. While looking for clues to their mother’s whereabouts, they discover a copy of Sara’s diary hidden in the floorboards of the bedroom. Soon it will become clear that the past and present are very much linked. McMahon’s atmospheric writing is so chilling. 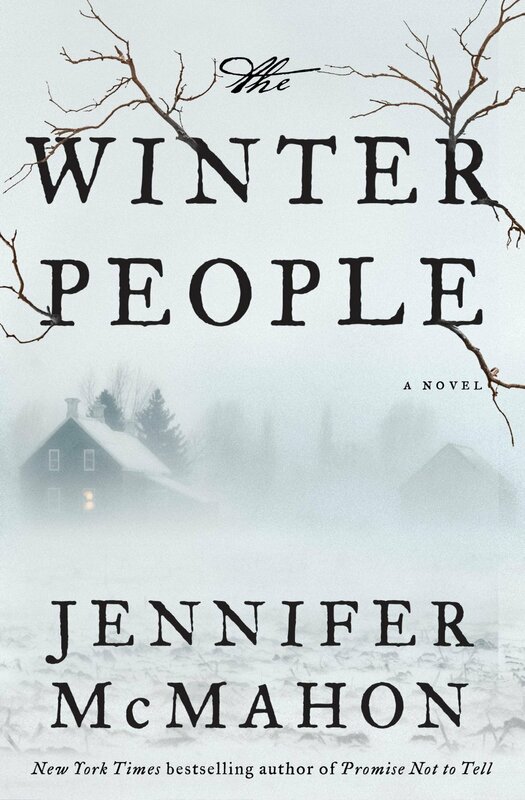 She uses cold, solid words to evoke the sense of bleakness and ruthlessness of a New England winter. She was sitting on the floor in front of the closet, wearing her thin nightgown, her bare feet as pale as marble against the dark floor. She was shivering. For my part, I slightly preferred the 1908 sections more than the present day. Something about the lack of technology and easy travel makes the idea of seclusion all the more frightening. Still, the book is consistently well-written. It is suspenseful (with very little direct violence or graphic gore) and taut, and precisely what one should read next to the fire on a snowy day.